I received a lot of lovely gifts but one of them was my absolute favorite. It was the one from Santa. 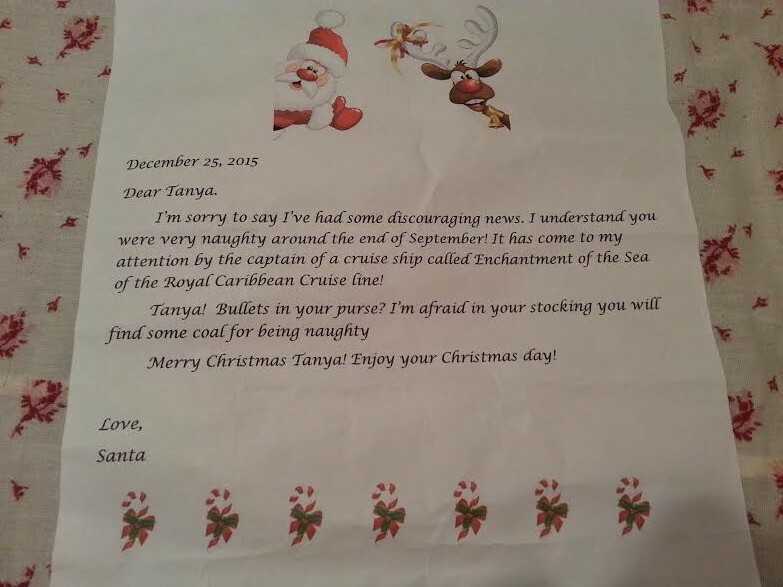 Before I share with you what Santa brought me, I need to tell a story. A story about a woman taking her very first cruise. On or about the 21st of September my family (mom, dad, Aunt Sandy, myself, Sister, her husband and children) and 2 friends took a cruise. I was so excited. Having never experienced a cruise before each and every experience was new and lovely. But also Sister! I got to see my Sister!!! We dropped off our luggage and waited for cars to be parked. We got in line for customs screening. That’s when everything began to go sideways. And in a VERY. BAD. WAY. Oh! My! Lands! Seriously? How in the WORLD did I forget about the bullets that the husband had put in my purse well over a year ago??? 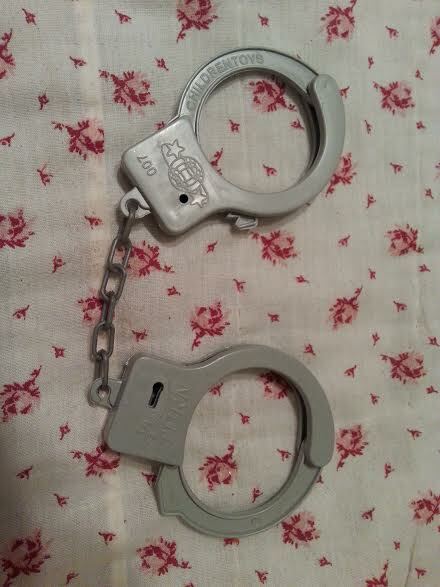 I was promptly put in lock up. Brevard County Sheriffs office was contacted to do a back ground check on me and the cruise ship was alerted as to the fact that there was a woman trying to board with bullets. Sigh. Why me? Why? Why? I cried Internets. Big crocodile tears. They told me I might not be able to sail. After the back ground check came back with “this sweet little old lady wouldn’t hurt a fly” the news was shared with the Captain and he got to determine whether or not I could sail. Then after I go to my room some of my luggage was missing. Seriously? After all this they’ve lost my luggage. Not just any luggage, but my luggage with my diet program shakes in them. How am I supposed to stay on my weight loss program without my shakes. Around 8pm our room steward handed me a card. It said I had to go to deck 6 and pick up my luggage. Down to deck 6 I went. They pulled the luggage because “It had liquor in it”. Sigh. They opened it up and pulled out my diet shakes expecting to see liquor. *cue the mud on the face look I got* neener…neener…neener…and an extra har-de-har har on you! The rest of the cruise went swimmingly and I enjoyed every. last. second. Now to what Santa brought. 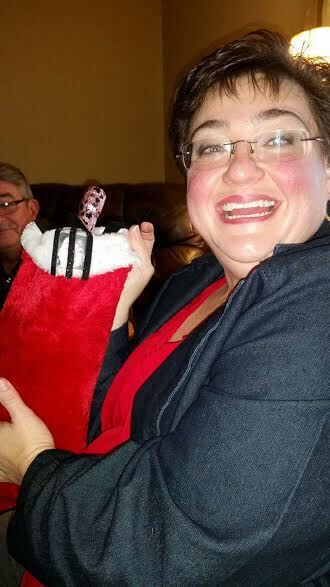 A giftie…for me?!?! I’m so special!!! What are those things at the top? Oh look…it’s me behind bars. ha….ha….ha…. 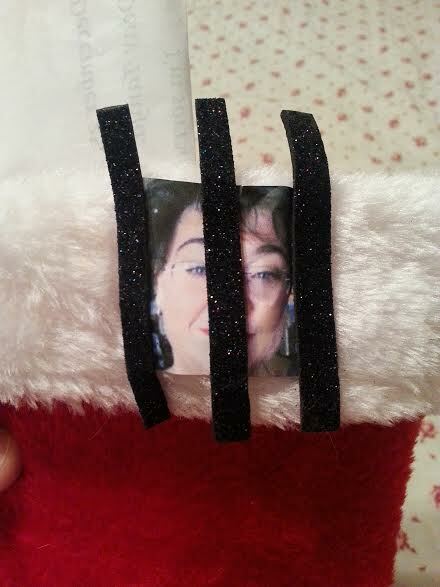 With this lovely stocking came a letter from Santa. Oh captain, my captain, why were you a rat fink??? 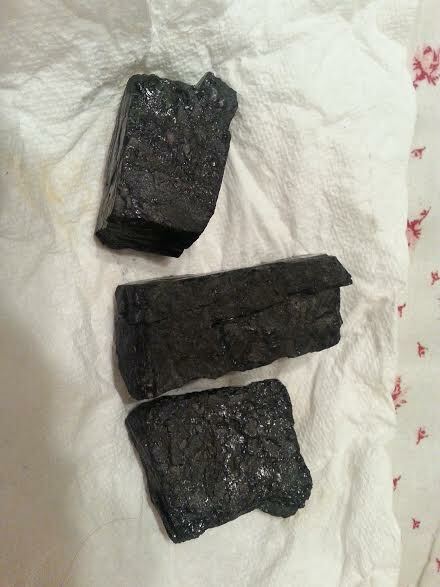 Inside was some coal. Courtesy of my son. I didn’t get a photo of it because I gave the wine to my girl. 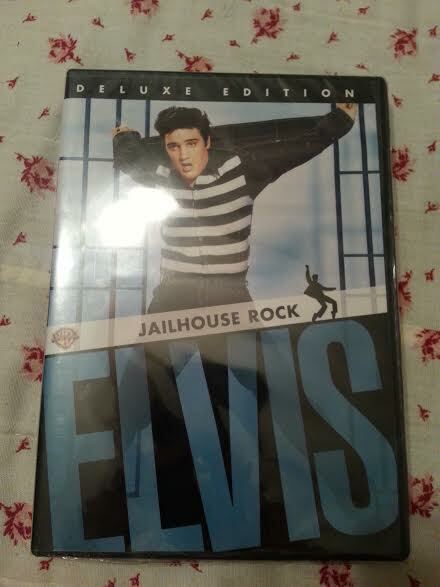 This lovely movie courtesy of my dear Aunt. 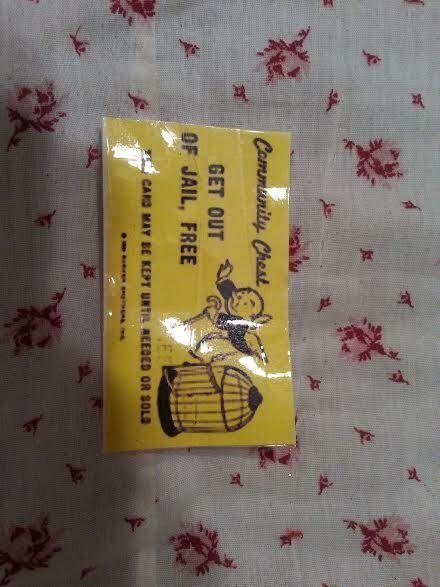 A get out of jail free card, from mama. 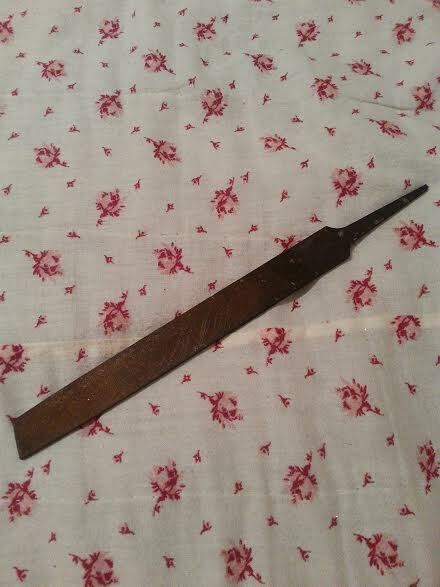 an old rusty file, NOT baked in a cake. At least they came with a key. Thanks Santa, and all his minions for such a marvelous gift. I will treasure it forever.